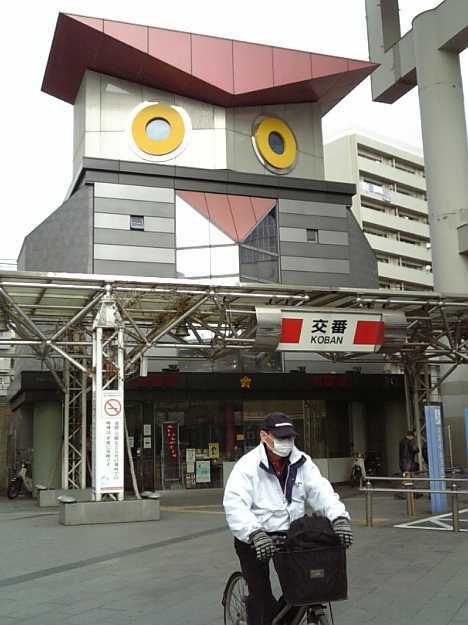 Never accuse Japan‘s police of not giving a hoot… they must be, since they’re working in owl-shaped police stations! 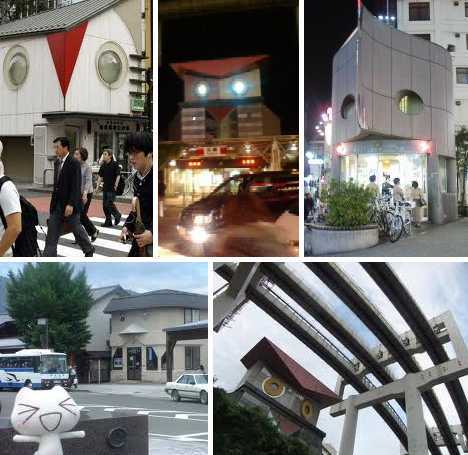 These seven Fukuro Koban (literally “Owl Police Boxes”) help put a friendly face on local policing while reminding citizens their protectors are always on watch. Kitano-cho is the historical district of Kobe, Japan, and its charming collection of antique architecture has survived a series of wars and natural disasters, the latter including the Great Hanshin Earthquake of 1995. 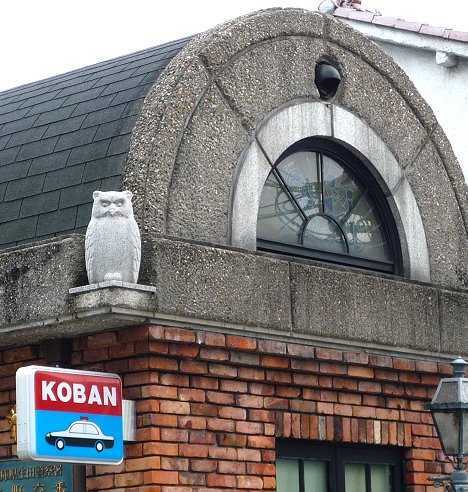 Architecturally, the Kitano Police Box is typically restrained but distinguishes itself via the white stone owl statues positioned at its streetside roof cornices. The owls appear as guardians, observing the neighborhood from a raised vantage point and symbolizing the function of the koban itself. 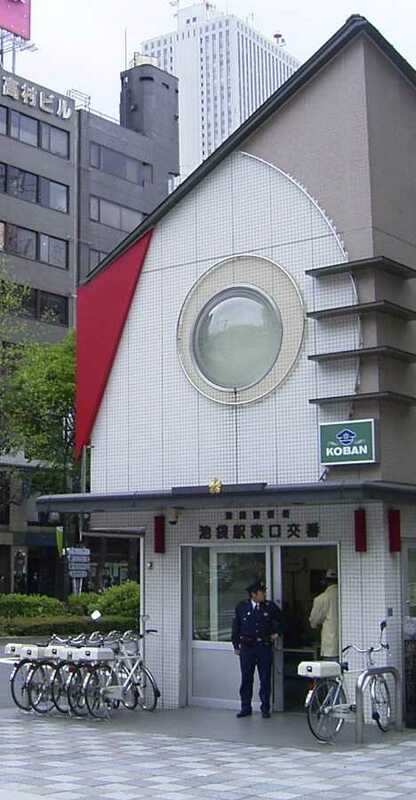 As such, the building acts as a template influencing the design of modern koban police boxes that would eventually incorporate the “watchful owl” theme into their overall design. 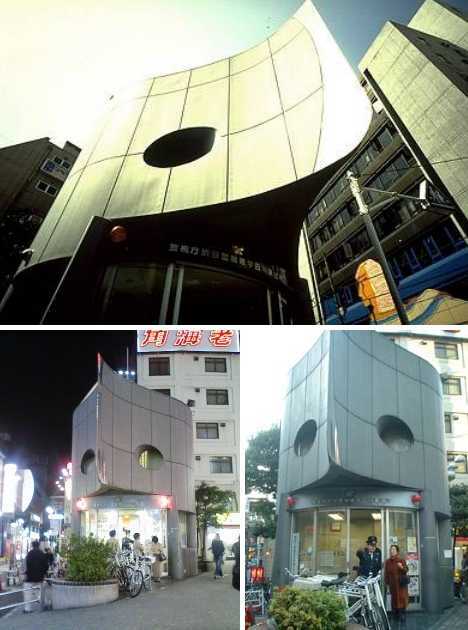 Udagawa police box in Shibuya was designed by architect Edward Suzuki and opened in April of 1985. The koban is practical as well as photogenic: the owlish “beak” does double duty as a sheltered overhang allowing officers to park their bicycles on a dry patio. 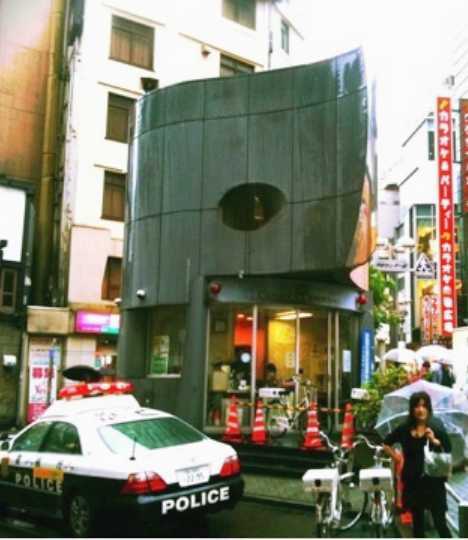 Though shoe-horned into a highly-developed corner of one of Tokyo’s busiest shopping neighborhoods, the Udagawa-cho police box seems to fit right in while remaining easily identifiable to people seeking assistance. 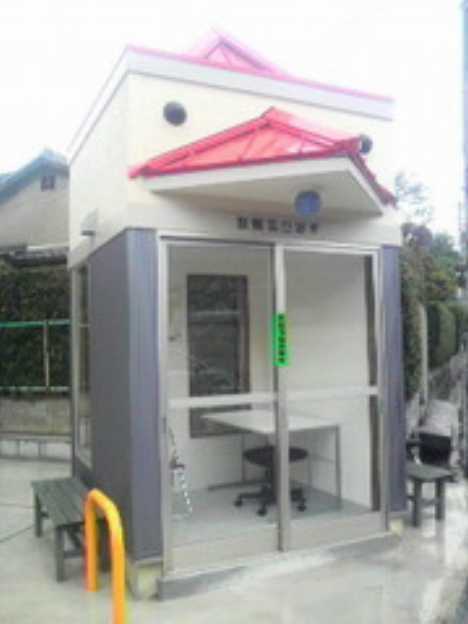 Koban are typically designed for a pair of policemen but depending on the location and need, some may house more or less. In the latter case and with “less” meaning “one”, the result is often a glorified phone booth barely big enough for a desk and chair. Even so, the rather duck-like police box above performs its function while still getting the message across. 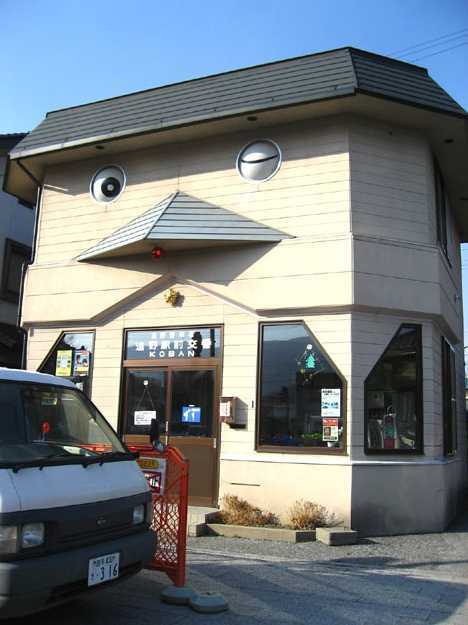 Lest anyone mistake the police box in Nagoya’s Naka-ku district for some sort of urban bird sanctuary, the designers of this koban skillfully melded visual cues from owls with the stylized representation of a saluting police officer. 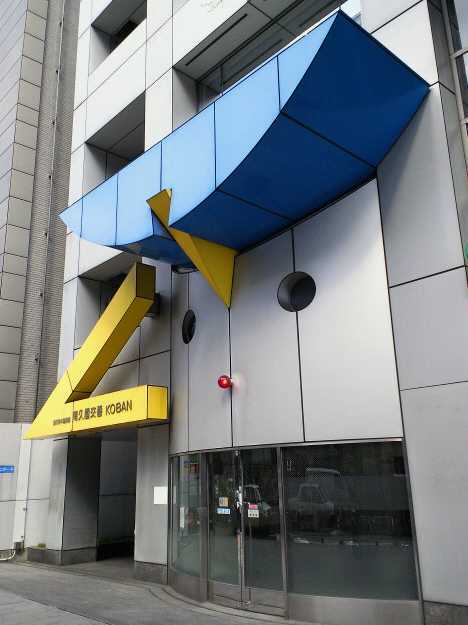 The station was designed by local firm Nikken Sekkei and was completed in September of 1997. 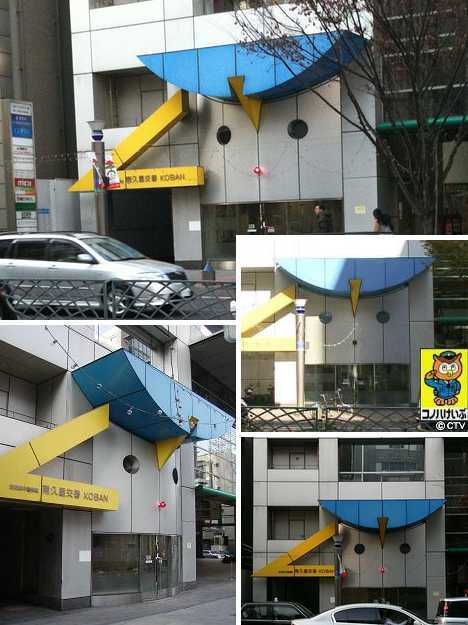 According to the building’s sponsors, the City of Nagoya, the intent was to create a building that advertised its purpose without resorting to a standard sign – in this case, the building is the sign. Ikebukuro Station in semi-suburban Tokyo is one of the world’s busiest train stations serving around 3 million people each day. 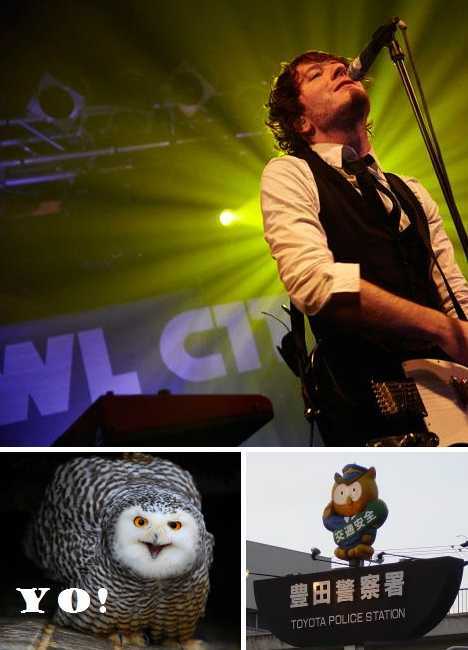 It’s not the sort of place you want to get lost at but if you do, just look for the friendly owl… in the form of a police station! 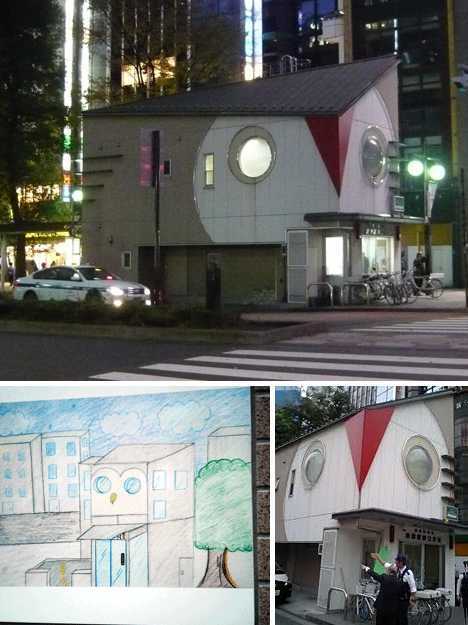 Positioned near Ikebukuro Station’s east exit, the owl-shaped police box originated in drawings submitted by elementary and junior high school students living in the area. It officially opened on April 1st of 2005… no foolin’! Tono City in Japan’s northeastern Iwate prefecture is famed for its rich folk traditions and a wealth of old-fashioned architecture that attracts tourists from across the country. 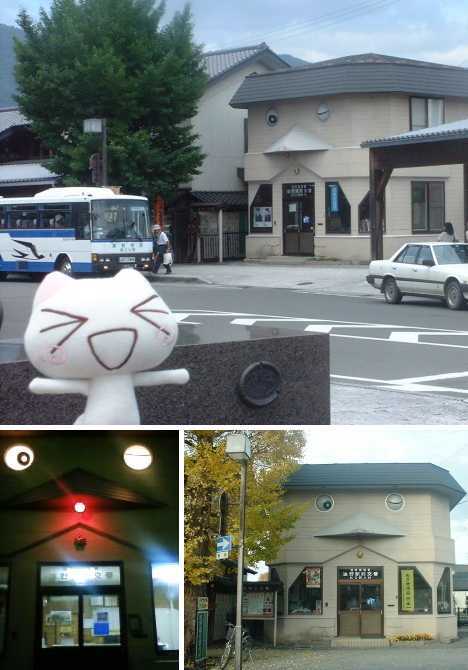 Tono City’s population is roughly 30,000 and crime is rare, even for Japan, so the station’s staff exercise their duties by dispensing directions and rescuing the odd treed cat. 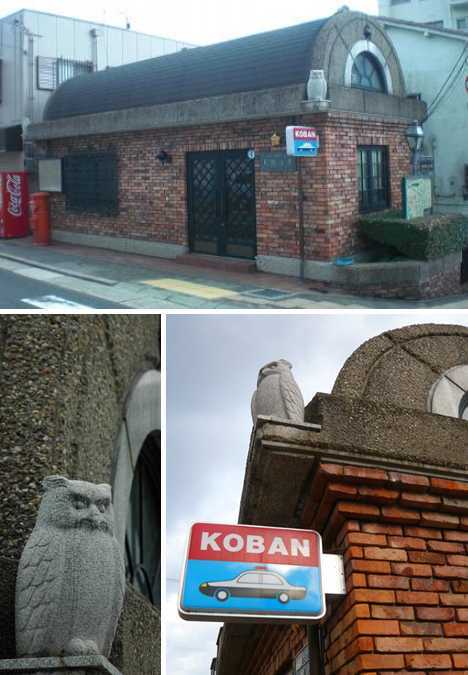 The Winking Owl Koban isn’t exactly old but its distinctive charm complements the town’s general aesthetic while standing out just enough to serve as a popular meeting spot – day or night – for tourists and townspeople alike. 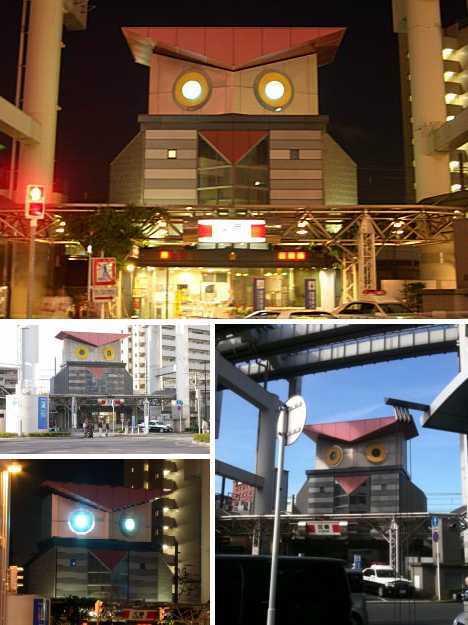 Combine Oz the Great & Powerful, Vaal from the original Star Trek TV series and an ordinary owl and you’ll get something like the large, imposing yet cute & cuddly Owl Koban located outside Chiba Station, just east of metro Tokyo. Evldoers beware: in Chiba at least, the long arm of the law ends in fearsomely sharp talons. Though the rather large koban looks harmless enough by day, the advent of twilight exposes another side to its perceived personalty… light shining out its eyes from inside give this koban a demonic demeanor! No, Japanese police aren’t really actual owls dressed in uniform, nor do the post offices look like mailboxes… at least, not yet. In the meantime, enjoy your travels in Japan knowing, for better or worse, someone’s watching over you.